Anna has been grooming for over 20 years. Her first dog was a sable, rough-coated Collie named Lord. She learned how to groom and train dogs on him. Then, while attending a dog show, she fell in love with the Afghan Hound breed. She has been showing and grooming them ever since and has earned championship titles in both Russia and Kazakhstan. Anna knows how to groom breeds with high-maintenance coats! 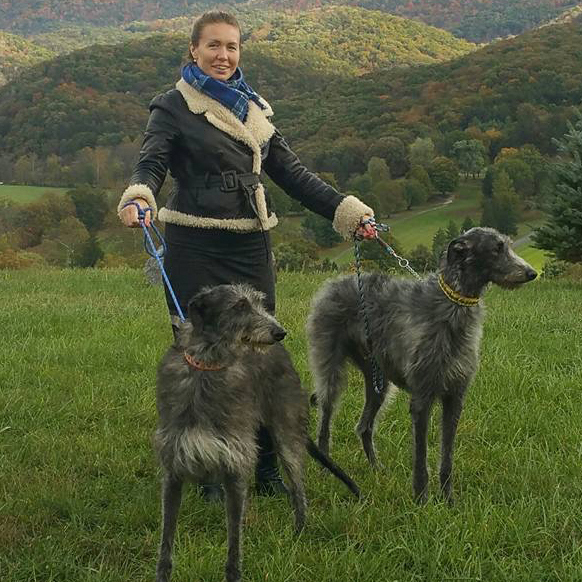 Along with her grooming and show ring expertise, Anna has several years of experience working at a veterinary hospital. She has also taught dog obedience classes and classes for guard dogs. Anna brings her vast knowledge of pets to the grooming table so that her clients can be assured of a safe, positive grooming experience.